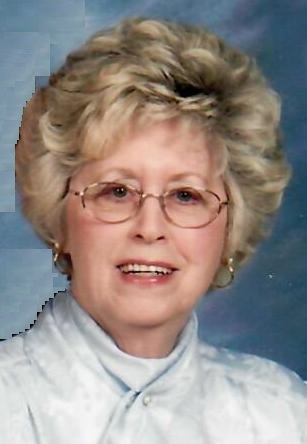 L. Lurain Cornell, 78, of Black Valley Road, Everett, PA; passed away on Wednesday, April 3, 2019 at UPMC Altoona Hospital. She was born on June 20, 1940 in Chaneysville, PA; a daughter of the late Howard E. and Mary M. (Miller) Adams. On August 18, 1962 in Winchester, VA; she was united in marriage to G. Lynn Cornell. Along with her husband she is survived by daughter Lisa married to Lynn Beegle, Everett; grandchildren Kortney married to Bradley Conrad, Artemas, PA; Levi Beegle at home; and Teakela married to Matthew Shearer, Mifflintown, PA; great grandchildren Cash and Braylee Conrad; Rylan Dixon and Kayleigh Shearer; siblings Royce Adams married to Helen, LaVale, MD; Phoebe Day, Bedford; Ruth Smith, Needmore; Phyllis Price, Bedford and Leon Adams married to Gloria, Newville, PA.
She was preceded in death by her beloved son Rodney Cornell in 2014 and three brothers-in-law Archie Smith, Tom Davis and Joe Price. Lurain was a member of the First Christian Church, Everett. Over the years she was employed at the Shoe Factory in Wolfsburg, Lions Manufacturing in Everett and lastly at Green Gardens in Bedford. She had a great love for her family; she cherished the time spent with them. Friends and Family may call at the Akers Funeral Home, Inc., 299 Raystown Road, Everett on Sunday, April 7, 2019 from 2-6 P.M. and on Monday from 10:00 A.M. until the hour of service at the funeral home. Funeral Service will be held on Monday, April 8, 2019 at 11:00 A.M. in the Chapel at Akers Funeral Home with Rev. Robert R. Robertson officiating.